The Commencement Order for the Scrap Metal Dealers Act 2013 has been made and will be allocated SI 2013 No. 1966 (C.83) which is scheduled to be web published on 9th August at www.legislation.gov.uk. The Commencement Order lists when each of the provisions within the Act come into force. The majority of provisions within the Act come into force on 1 October including those which establish the licensing regime; set out the requirements under the new regime (eg record keeping requirements); all aspects of applying for and processing a licence; the offence of buying scrap metal for cash, and the right to enter and inspect. The remaining enforcement provisions within the Act will come into force on 1 December. The following is important information for all Members relating to the transitional arrangements which are intended to minimise disruption to business as we move from the registration schemes to the new licensing regime. All scrap metal dealers can apply for a scrap metal dealers licence from 1 October. A scrap metal dealer who is currently registered under the Scrap Metal Dealers Act 1964 or Vehicles (Crime) Act 2001 needs to submit an application on or by 15 October and will be deemed to have a temporary licence which is valid until a licence decision is issued. We recommend that a formal licence decision is issued by local authorities by 1 December. Local authorities will complete checks to assess applicants’ suitability to hold a licence between 15 October and 1 December (the date we recommend a formal licence decision should be issued by). If a registered scrap metal dealer does not submit an application on or by 15 October their deemed licence will lapse on 16 October. A deemed temporary licence which has lapsed does not give rise to a right to appeal. The dealer must submit an application and wait for a licence to be issued before they can trade legally. A local authority can impose conditions on a deemed temporary licence pending an appeal for the refusal of a licence. 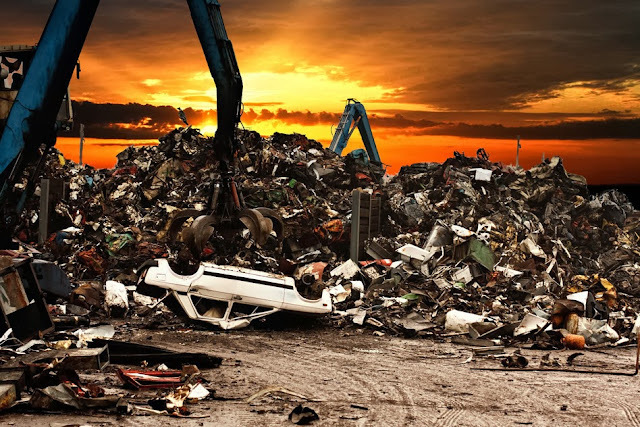 Scrap metal dealers who are not registered under the Scrap Metal Dealers Act 1964 or the Vehicles (Crime) Act 2001 can apply for a scrap metal dealers licence from 1 October but must wait for a licence to be issued before they can trade legally. The offence of buying scrap metal for cash will come into force on 1 October. Local authority officers and police officers will have the right to enter and inspect from 1 October. The majority of the other enforcement provisions within the Act will come into force on 1 December. Important Advise re the Cash for Scrap extension relating to ELV’s as from October 2013. The BVSF have tried, hopefully successfully to eliminate doubt and simplify the new “Rules”. All members will have received this information in the form of a Global email in early August, however, in case it has been missed please see below for the information. Following extensive discussions direct with the Home Office the BVSF can confirm that the following statement has been checked and agreed with representatives from the Home Office. 1)..If a COD is issued then Cash cannot be paid. 2)..If a Vehicle has a valid MOT and is drivable and a COD is not issued then cash CAN be paid. 3)..If the vehicle has no MOT, no COD is issued and the vehicle has a genuine potential for repair and resale then Cash MAY be paid but the purchasing Member is advised to keep physical evidence of the potential to repair, however if it was later decided to scrap the vehicle this would not be illegal. 4)..A Member who is also an ATF must not simply pay cash for everything on the basis that it MAY repair if they have no facilities to carry out the repair and no history of selling vehicles. 5)..A Member who is NOT also an ATF is not affected by the code and can continue paying cash for all vehicles.